Davie is the husband of Pauline Margaret Quilietti. 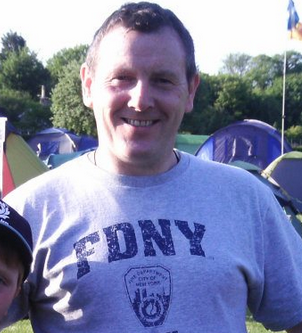 Davie’s profession is in the Fire-service, originally as a firefighter and now as he is getting older and much wiser of course he works as an OFFICER who visits the aftermath of the fires to assess what has gone wrong. David was born on 14th October 1962 in The Simpson Maternity Hospital in Edinburgh. His mother Julia Jean Steel was a single parent and she christened Davie with her own surname Steel. She presented David with the middle name of his natural father Lindsay David Rollo. http://www.facebook.com/group.php?v=wall&gid=6060748197 Check the Facebook Rollo site. David’s never knew his natural father who died in the year 2001. We now know just a little bit about Davie’s father Lindsay. Lindsay was born on 15th March 1943 in the Simpson Maternity Pavillion in Edinburgh. 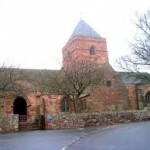 He was the eldest son of Robert Rollo and Christina Malcolm Cathie who had married on 11th July 1942 in Whitekirk Church, south of North Berwick. The family lived in Belfry Cottage in Pencaitland. Lindsay had three other brothers John Cathie Rollo [Jackie] who was born on 21st October 1944 and Robert [Robin] Rollo who was born on 24th July 1950, and David who died in 2012. He also had one sister who was the youngest of the family. Her name was Christine. 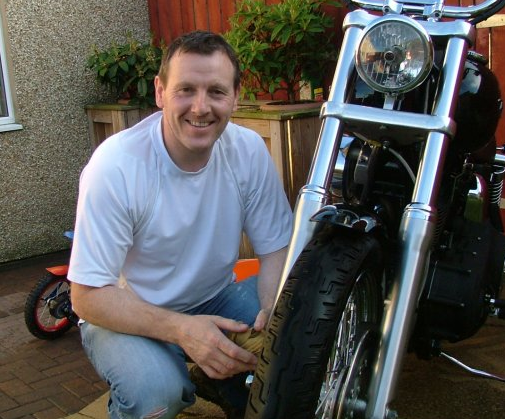 ROBIN raced Motor Bikes His own father was a joiner and they had a family business. 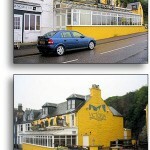 But by the year 1950 Robert was manager of the Queen’s Arms Public House in Prestonpans. I see your into bikes like the whole family. Oour son who is 14 is British champ and is leading the Scottish. He is also racing in the british thunder sport He’s on Sky T.V. everymonth . He races at Eastfortune this very weekend. What kind of bikes do you have. Your dad did speedway racing when he was younger..
Linsays dad didn’t take the pub over he only stayed above the pub as he was a builder and that’s all he ever did. Barry’s uncle Robin raced motors bikes and so did his son Stewart who did motorx and road racing. They were really good. Robin also raced formula 2 and was Scottish champ. if you google Lewis Rollo you will be able to see your nephew. It will also tell you aout his racing career We are all really proud of him. We have 4 kids 2 boys ,2 girls . Sean is 23 and works with Barry. Charley is 15 and shes at school. Lewis is 14 ,and Murran is 13. So like his father before him Lindsay and his brothers went into the building trade. He married three times. 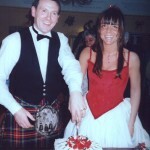 His first marriage was one year after Davie was born and the split up between Julia and Lindsay. Lindsay’s first wife was called Magdalene Laurie Brown and she was an administration Secretary. They were married on 6th April 1963 in Wilkieston Church Tranent. 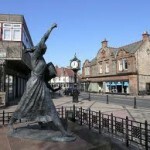 At this time Lindsay lived in Bonpark Crescent in Tranent. They had two children, Magdalene who was born on 14th September 1963 and Barry who was born on 18th June 1965. Barry works with Penicuik Joinery. He lives in Gifford, East Lothian. Lindsay’s second marriage was to Patricia Laurie McKenzie who was a teacher. Lindsay’s third marriage was to Evelyn Ruth Wallace or Wright and she was a secretary. Lindsay spent a lot of his spare time in the wrestling ring and had matches in the Eldorado in Leith, Edinburgh. 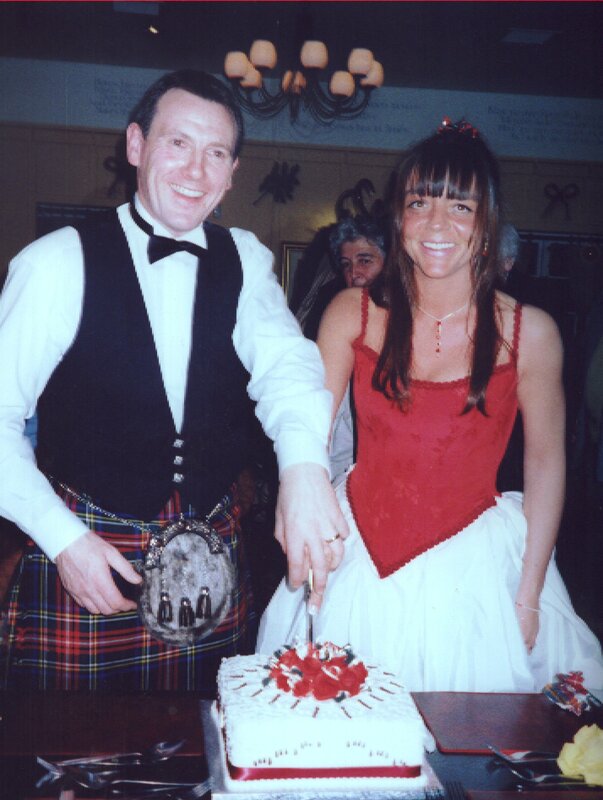 Lindsay died at the age of 57 on 1st March 2001 in Mid Argyll Hospital in Lochgilphead. He died of Prostate Cancer. His address at the time of his death was Finlaggan, Barmore Road. 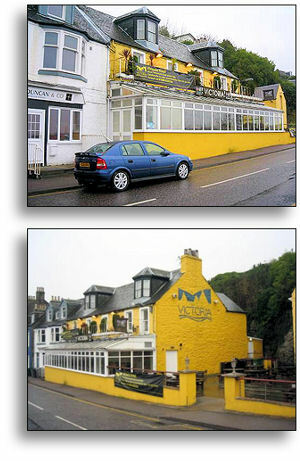 Tarbert, PA31 56TW , which is actually the Victoria Hotel. 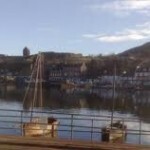 The hotel is situated in a beautiful area near Loch Fyne on the West of Scotland. Lindsay’s father was Robert Allan Rollo and his mother was Mary Lindsay. They were married on 31st December 1901 in Dundonald. Their first son John Lindsay Rollo was born in 1909. Robert Rollo, their second son and our David’s grandad was their second son and he was actually adopted. 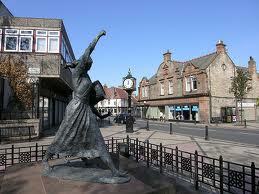 Robert was born on 7th September 1918 and his natural name was John Nairn Leishman. When they adopted the baby he was given the name of his adoptive father Robert Allan Rollo. The Origins of the Rollo surname goes way back to the Vikings. 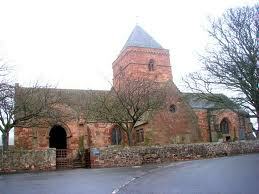 In Scotland the Rollo family have a long Scottish lineage and Davie’s branch came from Crail in Fife. As we can see below the Rollo family surname was prevalent in Fife and Angus in Scotland in 1881 and we can trace how the clan moved further south with the Highland Clearances and suchlike. I can’t believe I have just read all this. My dad went to school with Laurie Brown, who lived in East Calder and she married your Dad when he was about 19, my parents were at their wedding, I have just spoken to my mum about this article and she is sure they were married in Wilkison. 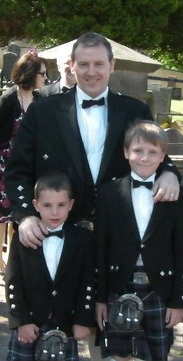 I am now 42 and my brother 44 and all our lives we have known your dad as our uncle Lindsay and his first wife as auntie Laurie(although not biolocically related they were very close family friends). After uncle Lindsay split with auntie Laurie we lost contact and uncle Lindsay moved on with his life. Sadly after the seperation we lost direct contact with uncle Lindsay’s children, Barry and Dale (as we knew her). 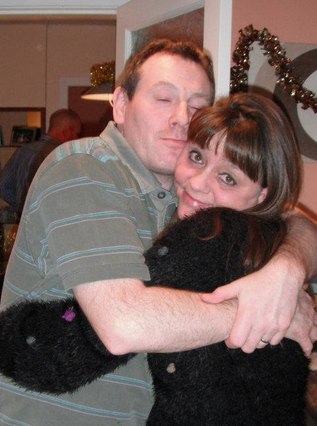 My mum is Dale’s godmother, the last time I saw Dale was almost 9 years ago at my dads funeral. I don’t know how much you know about your dad but I remember lots, even from an early age, and in our family home even after seperating from my auntie Laurie we often spoke about your dad, we still do today, and only yesterday my mum was looking through old photos many of which your dad was in. He was a funny man lived life to the full, was kind and always generous with his hospitality. We spent many weekends throughout the years both at Rose Cottage and latterly at Wester Pencaitland farm, both Pencaitland. You are very like your dad, we have early photos of your dad and your stance and smile resemble him a lot. I don’t know the circumstances around your birth and certainly your birth was never known to my family .I don’t know your feelings about all of this and I hope you don’t mind me sharing my memories. If you would like some photos I will willing send you copies, or if you want to hear more about your dad please get in touch, I am not sure if you are in touch with Barry or Dale.